Herb Kohl is a champion of the teachers of WI. Each year he invests in teachers and schools to celebrate greatness in the classroom, but he requires your help. If you have, had or your child or grandchild has had a teacher that you think has made an incredible difference in your life or another child's life take a moment and nominate that teacher for teaching excellence and innovation in the State of WI. It is an incredible honor but it is SUPER SPECIAL because that educator is nominated by someone who thinks they are a truly special. Below is a description of the purpose and a link to make the nomination. Let's get a Cardinal Teacher the recognition they deserve. Cardinal Pride Is Alive! Please share this out to others as well. 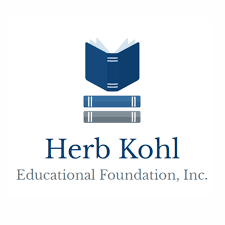 Kohl Teacher Fellowship program recognizes and supports teaching excellence and innovation in the State of Wisconsin, USA. Our goal is to support teachers in the pursuit of their unrealized goals for their classrooms or professional development. Each Kohl Fellowship recipient will receive a $6,000 grant and each recipient's school will receive a matching $6,000 grant. Recipients' professional accomplishments are celebrated at a recognition luncheon in the spring. Wisconsin Teacher of the Year Program The applications of the public school Kohl fellowship recipients will automatically be used as the applicants for the Wisconsin Teacher of the Year program. Four teachers will be selected, one in each of the four categories. These Teachers of the Year will come to Madison to be interviewed to select Wisconsin's nominee to the National Teacher of the Year program.